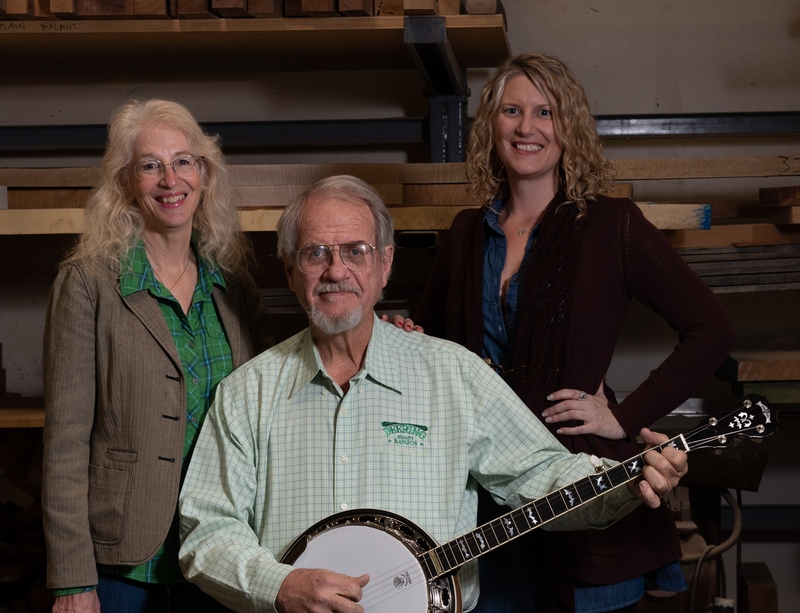 For 12 years we have been honored to celebrate our shared love of banjos and the music they make with our good friends of Eagle Music Shop in Huddersfield, England. Eagle Music has been one of the top Deering Dealers in the world year in and year out and we look forward to celebrating them! This year Banjo 12 will be held on Saturday, May 11th 2019 at The North Light Gallery – located at Brooke’s Mill, Armitage Bridge, Huddersfield, HD4 7NR. This is an all-day event that will be packed with a fusion of world class music including some of the best of American and Irish banjo players, jam sessions, on-stage performances and demonstrations. Check out the full list of artist that are giving workshops and performing on this day and secure your tickets! Eagle Music will have the largest selection of Deering Banjos ever to be displayed for public viewing and test driving in the world! These festivities are a rare golden opportunity to personally meet and interact with incredible banjo icons in the banjo and traditional music world! One such example are the dynamic trio who will be hosting a workshop in the afternoon.... The Kruger Brothers. They will be putting on an on-stage Performance Master-Class where they will talk us through ‘How they put their music together and perform it on stage’. An exciting workshop will be given by Greg Deering joined by our friend and Deering Artist Pat Kelleher for a special on-stage presentation of Pete Seeger’s ‘100th Birthday Celebration Tribute’ . 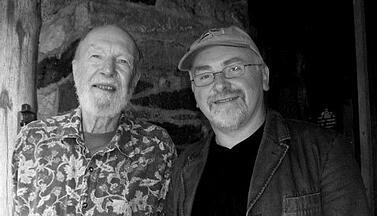 Pat and Greg will jointly host this on-stage Long Neck Banjo presentation in tribute to the Daddy of the Long Neck Banjo Pete Seeger (May 3, 1919 – January 27th 2014). Pat and Greg have had their lives influenced by Pete Seeger. 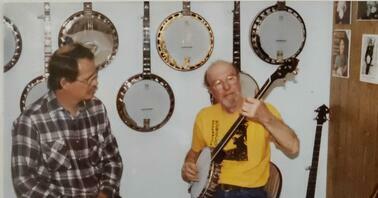 They are both lovers and players of the Long Neck banjo, and as such they both had a personal contact with Pete. Pat and Greg will talk about their Long Neck banjo experiences, tell stories of their meetings with Pete, demonstrate and play long neck banjos on stage during their presentation. Greg, Janet and Jamie Deering and Deering Banjos VP Jamie Latty will be in attendance throughout the day to meet and greet everyone. 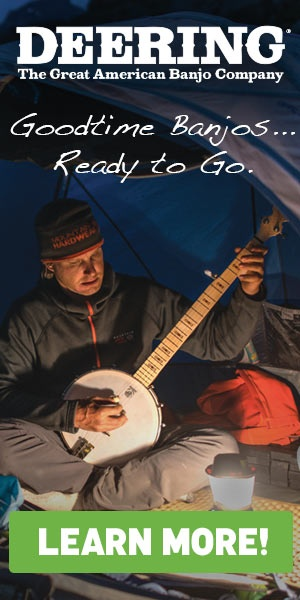 As in past years, Greg will host his ‘banjo set-up table’ where he is always delighted to meet you and personally check out and adjust your banjo. Banjo Teaching Workshops: Damien O’Kane – Irish Tenor Banjo Masterclass – Intermediate /Advanced – ticketed workshop in a private room for this group workshop. 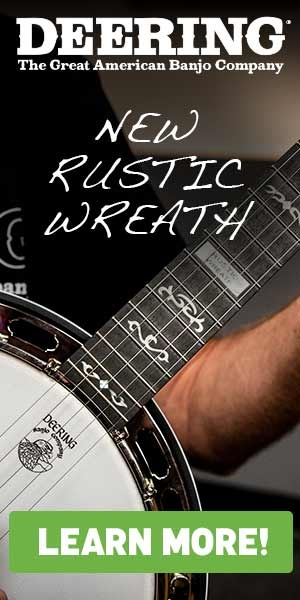 Graham Holt– 5-string banjo for beginners / intermediate – workshop will be in a private room for this group workshop (FREE ENTRANCE …to the first twenty applicants …Please call Eagle Music Shop to put your name on the list.) . Matt Chaffer – On stage afternoon demonstration of electric banjos and explanations of pick-ups and amplification for all those attending the day's festivities. Jamming to your hearts content with players come from all over the UK and Europe! Topping off this exciting day is a full Kruger Brothers Concert in the evening! Doors for the day are at 10am. Head here to see the full day schedule and secure you spot in the banjo festivities! Alaska- Bluegrass and Blue Water Cruise! 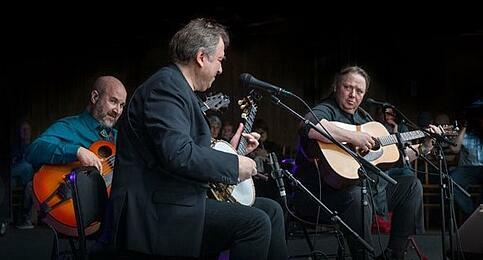 Mumford & Sons Giving to the Bluegrass Community With the Kentucky Charity Banjo!